Over all I am a health concious, most of the time eating well person but some days I just loose it. The most exhausting days I need to have fatty food, aerated drinks, chocolates, fried Indian snacks and occasionally licking a spoon of ghee. Recently son was down with viral fever. Poor thing he caught it on our way back home, I secretly think the English still don’t like us, they did it to us… Just kidding I love the English and long live the queen! boy 90 years and still ruling! She seems to be like the mother-in-law no matter how old she grows never gives up her kitchen, never stops interfering. I wonder will she ever give it up for her son cause when he actually becomes the king he will be like “oh I can’t do this, I am too old for this!” like lethal weapon.. Ha ha ha ha! Back home as son was not well he just wanted to do two things. First option “bhar jaiyee…bhar jaiyee (lets go out)”, he would repeat it over and over again second option “mumma…mumma”, poor thing down with high fever all he wanted was me. I run as if I have a 5 second window to escape, as I am in the bathroom I can here “mummma…. Mumma” ok I don’t think a mom of a sick baby can even pee in peace..or maybe a mom can never pee in peace..ha ha ha. By now he comfortable in grandpa’s lap playing with his phone which is a compormise for my outdoor loving baby but can’t help it. I ignore his words I go in the kitchen to prepare his dinner inspite the fact that I know he is only going to have milk. All day we watch animation movies and nursery rhymes videos. Its like the nursery rhymes are stuck in my head.. Damm it! 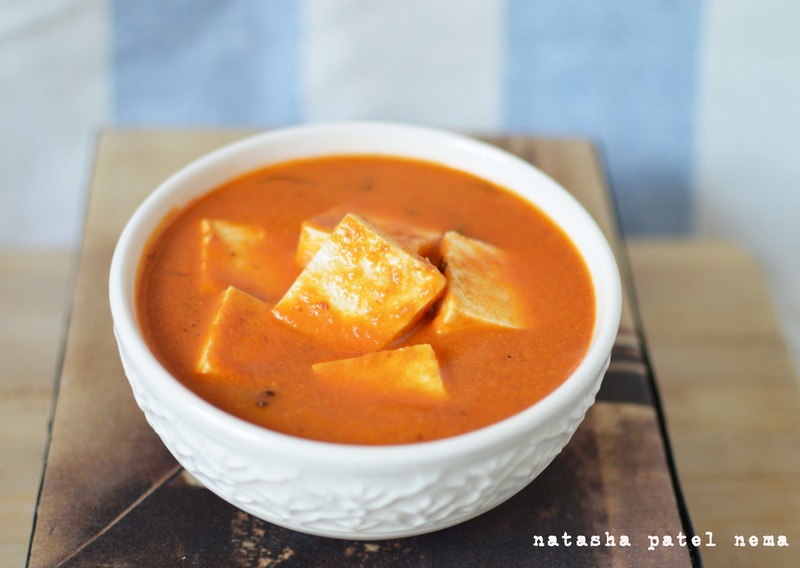 I am already fed up during the day..
During all these crazy days all healthy food are out of the window… Its indulgence time and Paneer Makhani, is one of those indugence fatty foods, I do not even feel guilty to eat it. First time I tried paneer makhanni it was 2004, I still remember the year, I asked my sister to taste it, it was so bad she threw it all away, I bet she still remembers the disgusting taste and told me “its ok di, please don’t try cooking ever again” Thank God I have a persistent nature.This recipe almost took 12 years after trying over and over again. I love my makhani so much, maybe its my narcissistic nature, may be its actually that good, try it and decide. In Fact after many photographs I finally got this nearer to perfection photograph. I am really happy with the result. In a pan heat the butter, add the bay leaf, cinnamon, cardamons, cloves, peppercorns, tomato puree, the previously mixed gravy, red chili powder and cook till the butter separates. Add the milk, tomato ketup, simmer for 5 minutes. Add the paneer, garam masala, dried fenugreek leaves, sugar and salt, you can also add 1/2 cup water to adjust the consistency of the gravy. Cook for about 5 minutes. 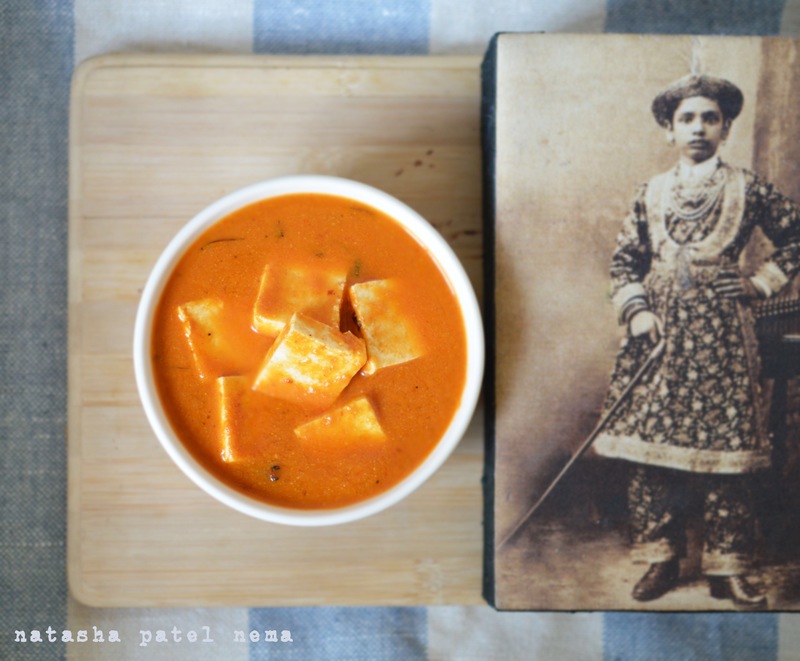 Serve with naan, paratha, roti or rice. An excellent recipe to cook when you have guests, its always a hit.